Railway preservation’s first female volunteer visits Talyllyn line | News by Wales Express News, People Before Profit! 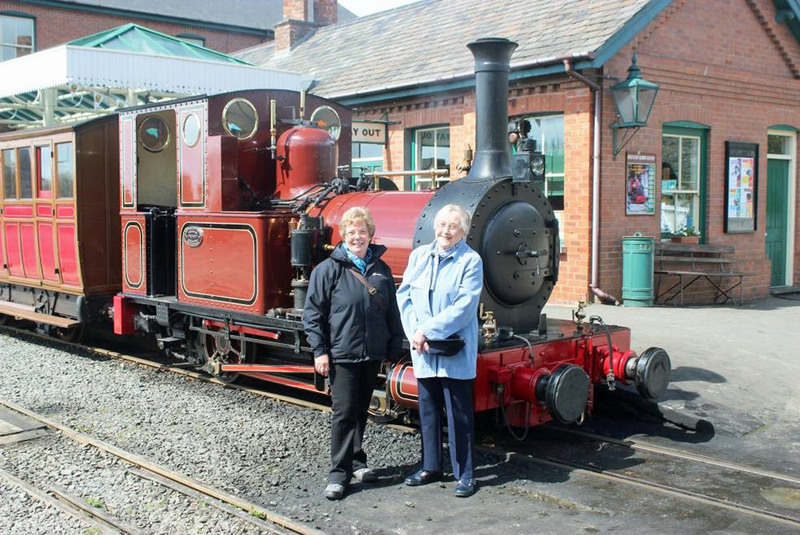 Thelma Whitehouse, believed to be the first woman to volunteer on the Talyllyn Railway in 1951, visited the railway with her son Michael for a trip on a specially arranged train on April 29. 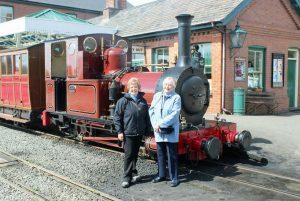 Thelma Whitehouse (right) poses with Talyllyn Railway Society chairman Jane Garvey in front of locomotive No.2 Dolgoch at Tywyn Wharf Station. The wife of Pat Whitehouse, the first secretary of Talyllyn Railway Preservation Society, she volunteered to help prepare the line for its opening in May, 1951 as the world’s first preserved railway. Sixty-five years later Mrs Whitehouse was back at Wharf Station ready to board a special train composed of the same locomotive and carriages that had formed the first train of the railway preservation movement on May 14, 1951. She was greeted by society chairman Jane Garvey. Also present were Richard and Tim Rolt the sons of Tom Rolt, one of the main driving forces behind the preservation of the Talyllyn Railway. They had driven to the railway in one of Tom Rolt’s cars an Alvis dating from the 1930s. Thelma’s son, Michael Whitehouse, who himself is very much involved in the Heritage Railway movement, also signed copies of his book ‘Talyllyn Pioneers’ about the early days of the preserved railway.